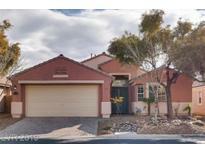 Below you can view all the homes for sale in the Casa Rosa Summerlin subdivision located in Las Vegas Nevada. 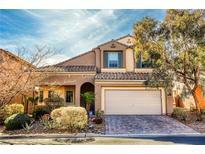 Listings in Casa Rosa Summerlin are updated daily from data we receive from the Las Vegas multiple listing service. To learn more about any of these homes or to receive custom notifications when a new property is listed for sale in Casa Rosa Summerlin, give us a call at 702-930-8014. 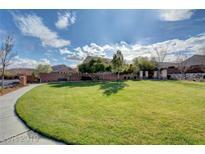 Great schools, parks, trails, shopping, dining & entertaining MLS#2082453. Keller Williams Market Place I.
Gated Summerlin Community Near Downtown Summerlin, Community Parks & Jogging Trails*brand-new Interior & Exterior Paint*new Tile In Baths & Laundry*brand-new Carpet*fans*central Vacuum*granite Island Kitchen With Travertine Flooring*spacious Living, Dining & Family Rooms*gas Fireplace*huge Master Suite With Walk-in Closet, Walk-in Shower & Jetted Tub*nice-sized Guest Beds*extended Covered Patio/Balcony*enormous Pool-sized Lot With Gorgeous Views* MLS#2082389. LUXE International Realty. Open concept living area. Wonderful turnkey opportunity. MLS#2073120. BHHS Nevada Properties. Large Open Great Room W/ Breakfast Bar Kitchen Granite Counter-tops Upgrd Cabinets - Tile Flooring - Neutral Paint - Fam Dinn Nook Off Kitchen - Two Way Fireplace From Great Rm To Downstairs Master Bedroom - Master Bath Has Sep Tub, Shower And Dble Vanity Walk In Closet - Upstairs Has Large Open Loft Wi/2 More Bedrooms And A Bath- Backyard Has Red Rock Mountain Views W/ Cvrd Patio And Fruit Trees MLS#2065386. Vegas Real Estate & Managemen. The home is conveniently located near the 215 Beltway & Summerlin Parkway, Red Rock National Conservation Area, Downtown Summerlin and Red Rock Casino & Resort. MLS#2045182. Keller Williams Realty Las Vegas.